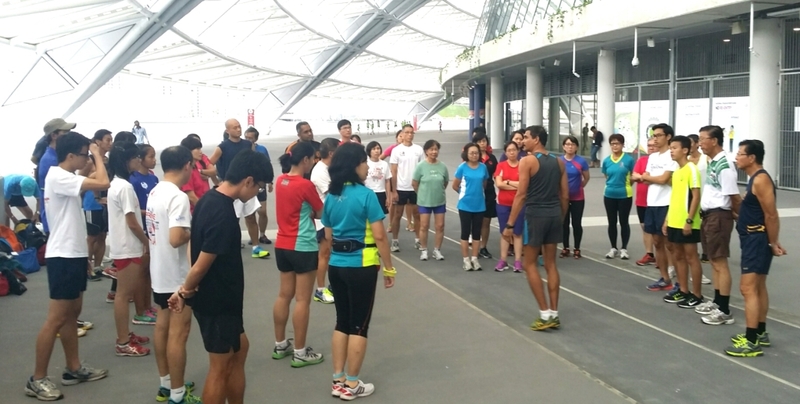 The recent SAA Race Walk Coaching Workshop was conducted successfully on 12th November 2014 with the first portion of the workshop took place from 2pm to about 3.30pm. It was held at the SSI Seminar Room. After short break for tea and refreshment, the second practical part lasted from 4pm to about 6.30pm on the third level corridor around the Singapore Sports Hub stadium. 49 participants attended, comprising encouragingly almost half from schools and colleges, such as teachers, student athletes, and also a couple of athletic trainers and fitness enthusiasts. A good number of the participants was infact from a church group who were interested in learning race walking technique to be more efficient power walkers. Mr Thiagaraja, a level 4 IAAF qualified race walking coach conducted the workshop, whose feedback from the participants ranged from being entertaining and efficient, had the full attention of all the participants. The participants remarked it was time well spent. SportsSG new Director of Coach Development for Sport Singapore, Mr Troy Engle, himself a former race walker, dropped by and addressed the group with a few encouraging comments. 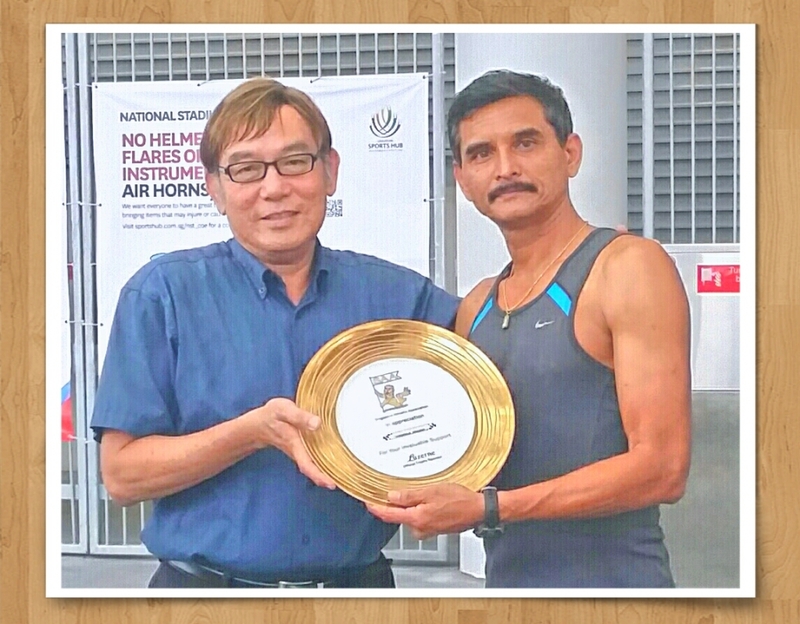 Mr Ho Mun Cheong, SAA Honorary Secretary, was on hand to then kindly present Mr Thiagaraja with a memento. The smooth and successful running of the whole session was in no small part due to the support and effort of SAA backroom staff, Yazeen, Morales, Andy and others in SAA and SSI.